Arianne Gosselin, an Osteopathic Manual practitioner, believes the body is a vital, living machine, which already possesses everything it needs to self-heal. Her experience and training have shown her that, when the body is structurally sound, this ability is present and occurring without conscious thought. However, this self-healing ability is hindered when the body’s physical structure becomes impaired. Arianne practices a classical form of osteopathy using the principles established by the founder of the profession, Dr Andrew Taylor Still. After completing a thorough assessment, Arianne Gosselin will use a variety of gentle manual techniques to restore motion where motion is lost. The result is a body that is capable of healing itself because the structure (anatomy) has been restored, which in turn affects the way the body functions. 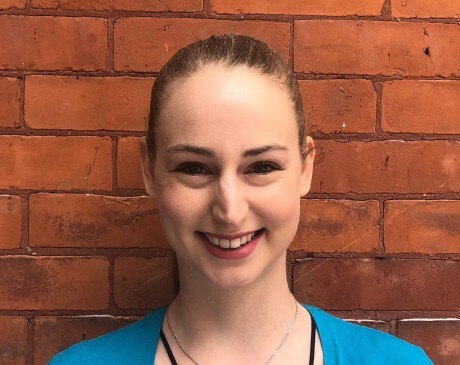 Arianne completed a four year Master of Practice in Osteopathic Manual Sciences (M.OMSc) at the Canadian Academy of Osteopathy in 2019. She has over 4000 hours of hands-on training as well as an in-depth education in anatomy, physiology and pathology. Before completing her Masters, Arianne obtained a Bachelor of Science in Human Kinetics (BSc.HK) from the University of Ottawa. Arianne is passionate about figure skating and healthy eating. She also enjoys other outdoor sports such as cross-country skiing and cycling and loves rejoicing in the beauty nature has to offer. Book an appointment with Arianne today! Unsure whether Arianne is the right practitioner for you. Book a free, no obligation discovery session with Arianne to discuss your needs. Call now to book an appointment (613) 230-0998, or book online, up to 1 hour prior to the appointment.